What are the benefits of using newer cryotherapy techniques? 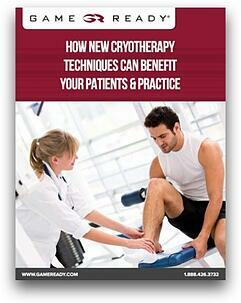 Modern technology has made major strides that allow you to enhance the benefits of cryotherapy for your patients. With newer cryotherapy systems, you can recommend a more effective therapy method beyond ice packs, ice baths, or hyperbaric gaseous cryotherapy techniques. Accelerating recovery after an injury is essential for returning to normal activity as soon as possible. If you are an athletic trainer, physical therapist, or orthopedic surgeon, this guide will provide you with supplemental information about the background and benefits of cryotherapy.